You can use the best ingredients in the world, but if your cooking oil isn’t up to par, your efforts may not reach their full potential. There are many reasons why your cooking oil may not be making the grade but the good news is many of these are within your control. 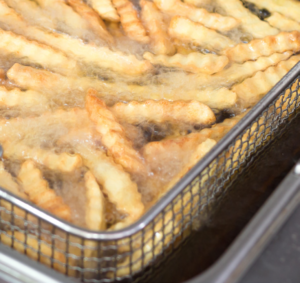 Multiple factors impact the performance of cooking oil including types of food being fried and amount and duration of filtration activities, to name a few. Food is a large variable in cooking oil performance since each type impacts how long oil can last and how fast it breaks down (otherwise known as durability or fry life) – proteins for example, such as chicken or fish, are harsher on oil than starches, such as potatoes, due to breading and seasoning that inevitably gets into the oil. Another variable that impacts cooking oil is filtration which can impact quality and flavor if the oil isn’t being properly cared for. If filtration activities aren’t being successfully completed the oil flavor and profile suffers, and you’re more likely to be spending excess money because you’re dumping and replacing entire vats of cooking oil that hadn’t been properly managed more frequently. Texture – the food should not be too limp or too crunchy. It should have a crispy, tender bite. Once you've determined how your fried food should look and taste, you're well on your way to a productive and structured test. Testing can be done by individual employees after they have finished filtering with an oil testing kit or you can create your own testing taskforce to participate in a larger oil type test. Enlist your testing participants to taste the food and record their scores and feedback. This will help determine whether the flavor profile is off or if the oil has done its time. Interested in the other steps you should take to conduct a test? Download our Oil Testing Guide to learn about creating report cards, step-by-step instructions and how to tabulate results.